An Extensive and thorough 7. LFA Matrix:Study on the Gaza and West Bank Electric Power System was carried out by Rust Kennedy and Donkin (RK&D) in 1995/1996. This was followed by an appraisal for provision of a power plant in Gaza, performed by SwedPower in 1996 and an assessment by RK&D in 1998 for the Gaza Transmission Project. It was obvious from the studies that the main supply of Gaza Strip from Israel Electricity Corporation (IEC), via 9x22 kV feeders, is neither capable nor suitable to handle the current and/or the forecasted future load demand. Being altogether dependent on IEC for the electricity supply is also not acceptable for the future development of Palestine society. Therefore, building an independent electric power supply system is an urgent necessity. - Building an independent Power Plant (P/P). - Building a high voltage (HV) Transmission System to transmit, in an optimal method, the generated power from the P/P to bulk supply points, from which it will be distributed to the various consumers. - Extension and rehabilitation of the existing 22 kV Distribution System. ­ The realisation of the P/P has been already started, where an IPP entity is established and advance payment is made for the delivery with commissioning of the first gas turbine unit in June 2000. ­ PEA has signed the power purchase agreement (P.P.A) with the Palestinian Electric Company (PEC) at 18.06.1999. ­ PEC has signed the Engineering, Procurement and Construction (EPC) contract with ABB STAL at 01.07.‏1999‏. ­ Furthermore, notice to proceed (NTP) has been given to ABB STAL at 20.09.1999. ­ At 26.10.1999 the president YASER ARAFAT put the corner stone for the power plant. ABB STAL is today in an advanced stage of design and manufacturing of turbines and Generators, first stage will be four generators with 140 MW and the first Generator Commissioning will be at June 2000. The plant, which is planned to be located 3 km away from the Mediterranean sea shore, approximately 10 km south of Gaza City, will be a combined cycle gas turbine plant with a capacity of 140 MW in the first phase. This corresponds roughly to the expected peak demand from the year 2000. The plan for a second phase is to double the plant to reach a total capacity of 280 MW, which may possibly cover for the sharp increase expected in the first decade of the next millennium. The load forecast for the next 10 years is that there will be an increase of about 100%. Then it should be noted that this includes a significant portion of surpressed load, which is estimated to about 25% and is expected to become actual within the first three years after commissioning of the new system. PEA is considering to link Gaza to a regional transmission system in a later phase. Connecting Gaza networks to the Egyptian supply system, presently being extended by 220 kV into the northern parts of Sinai, appears to be a relevant future solution. Moreover there is an interest for a future high voltage link to the West Bank. Several studies have been carried out to analise a suitable transmission system in Gaza, taking into account both the Gaza power plant and the regional transmission system. The present unite conclusion is that a 220 kV power transmission system should be established in Gaza with a North and a South substation in addition to a West substation at the power plant. I- Building a main 220/22 kV West Substation (S/S) attached and integrated to the Gaza Generating Plant. II- Building a main 220/161/22 kV Substation (S/S) in Gaza North. III- Building one 220 kV double circuit O.H.T.L. (13 km) long to connect the Gaza P/P (Gaza West Substation (S/S)) to the North Substation (S/S). IV- Building a main 220/22 Substation (S/S) in the Gaza South. V- Building one 220 kV double circuit O.H.T.L. (32.4 km) long to connect the South Substation (S/S) to the North Substation (S/S). ­ Provisions in the respective S/S control systems are to be made for connection to a future DCC. ­ Preliminary tender documents for the whole Transmission System above was already in 1996 prepared by Norconsult of Norway and recently has been revised and completed 1/7/1999. ­ The final Project Documents have been delivered to PEA at 1.7.1999. However, during project preparation it has been anticipated that a first main implementation stage of the Transmission System will be financed by a consessionary loan from Swedish International Development Authority (Sida). Due to unexpected restrictions, imposed on Sida budget by the Swedish Government during preparations for loan decision, the possible available funds are limited to about half the amount required for the originally intended first phase. In order to achieve at least an initial backbone of a real transmission system, which can reasonably facilitate the transmission of power from the new P/P to the distribution networks, it has been necessary to reduce the Transmission Project to include only the first three items ( I, II, III) of the above mentioned Transmission System to form what so called the (First Stage). Environmental Impact Analysis (EIA) Study has been prepared by SwedPower and submitted to PEA. This Study has been recently approved by the Palestinian Ministry of Environmental Affairs. Budget cost estimate and Break Down Prices are indicated in attachment 3. I- Building the main 220/22 kV West S/S attached and integrated to the Gaza Generating Plant. II- Building the one main 220/161/22 kV S/S in Gaza North District. III- Building one 220 kV double circuit OH Line (13 km) to connect the Gaza P/P (Gaza West S/S) to the North S/S. - As mentioned above the final tender documents were submitted to PEA from Norconsult at 1.7.1999. - A short list of Swedish Contractors was selected and they were invited for bidding to the first stage of the project, the closure date was assigned to be 22.09.1999. - Tender opening has been done at Sida offices ( Stockholm, Sweden) at 22.09.1999 and there was only one Offer submitted by ABB Switchgear. - ABB Switchgear Offer has been evaluated at Swedpower office (The swedish engineer for this Project stage) within the period from 22.09 to 05.10.1999. - The Evaluation report has been approved by Sida and accordingly ABB Switchgear was invited to negotiate their offer at PEA office at Palestine-Gaza on 27.10.1999. - The Contract with ABB Switchgear is signed a 16/12/1999 and the commencement of the first stage of the first phase of the Transmission System start with 20/1/ 2000, and the Implementation period as per ABB offer is 12 months. IV- Building a main 220/22 (S/S) in the Gaza South. V- Building one 220 kV double circuit O.H.T.L. (32.4 km) long to connect the South S/S to the North S/S. a- The reduced scope asked in present tender invitations will improve current supply shortage and operational problems in the Northern and central part of Gaza Strip. For the Southern part, it will enable to improve the situation temporarily, but generally the supply shortage will remain and becomes worse. Consequently, the South Substation with connection lines are still urgently needed and PEA intends, without delay, to find a solution for financing the postponed part of the original basic scope of the transmission system i.e. the second stage. Our ambition is to succeed in due time to order the implementation of this second stage before the commissioning of the first stage. b- To have more strong, efficint, stable, reliable Transmission System which will be capable to transmit the generated power, in an optimal method to the bulk supply points. c- To secure Electrical Energy supply urgently needed for the full operation of the infrastructure projects, like Gaza Airport (7 MVA), South Industrial Estate and the Free Trade Zone (20-30 MVA) , Treatment Plant (7 MVA), Gaza European Hospital (GEH) (2-3 MVA), Agriculture projects, ….. etc. e- To create the possibility for future connection to the Egyptian Transmission System. Gaza Strip is a long-shaped narrow area surrounded by Israel from the east and north, by the Mediterranean Sea from the west and by Egypt from the south. The population is about 1 million capita. The electric power supply to Gaza Strip is coming from Israel via nine 22 kV overhead line feeders, which are operated in a radial mode. There are more than 110,000 customers fed from those feeders. The 22 kV network of Gaza Strip is mainly built of overhead lines and pole mounted transformers. The quality of the power supply is very poor and the voltage to remote consumers may drop as much as to about 50% from its nominal value. Most of the main feeders are already loaded to their technical/thermal limits, which necessitates regular load shedding. The total power supply losses are very high and in the range of 25-30%. After the peace agreement, the Palestinian Energy Authority (PEA) was founded to take charge of the power supply to the Palestine Autonomy areas and development of the power supply systems. PEA then called RK&D to make an extensive study on the Gaza and West Bank power systems and to propose both present and future needs for development of such systems. Their final report "Generation, Transmission and Distribution Master Plan” was submitted in May 1996. Further, SwedPower was engaged by Sida to make an appraisal for provision of a power plant in Gaza. In their report of May 1996 the urgency of additional power sources was confirmed and recommended the first plant to be a 60 MW gas turbine plant. Also in 1996 Norconsult was engaged to prepare specifications with tender documents for the 220 kV transmission system proposed in the Master Plan. Later Sida engaged RK&D to make a review of the Master Plan with an assessment study for the Transmission system. The conclusion of this report of January 1998 form basis for the solution proposed in this document. Presently Norconsult is again engaged by Sida to revise the tender documents. This has been performed, and the final tender documents is submitted to PEA at June 1999. Moreover, Sida has engaged SwedPower to perform an Environmental Impact Analysis for the transmission system. This has been achieved and the EIA report is submitted to PEA at April 1999. Furthermore the EIA study has been approved by the ministry of environmental affairs. The Contract for the implementation of the first stage is planed to be signed with the ABB Switchgear at 16.Dec.1999, after which the commencement of this phase will start 20/1/2000. An IPP consortium has been established for the power plant and letter of intent is signed with the first two GT’s of 2x23 MW to be commissioned in second half of year 2000, a second package of two GT’s in Oct/Nov the same year and the last package of steam turbines in combined cycle in June 2001 to reach the capacity of 140 MW. The PP project is now under implementation. The Country development policy is to build an independent, sustainable and reliable electric power supply system for the Palestinian National Authority (PA). Responsible to handle related duties is given to PEA. The first stage to reach the goals of such a system is to plan and implement a Generation Plant, a Transmission System, reinforcement and extension of the Distribution Networks and to prepare for a future Dispatch Control Centre for Gaza Strip . The PEA is committed to provide the Palestinian citizens with reliable electricity supplies, permitting the efficient long term development of the sector and the economy as a whole, at affordable prices. Reference is made to Attachment 4, Letter of Sector Policy, signed by PEA and PA in July 1997. As described above PEA called the consultant RK&D to make an extensive study and analysis of Gaza and West Bank electric power systems and to identify and assess the present and future needs of the system. As mentioned in Sub-section (2.1) above, the present situation for power supply to Gaza is far from acceptable. The nine 22 kV OH lines from IEC (indicated in the overview map (Attachment 1) are generally loaded up to or close to the thermal limits during peak demand hours. Occasional disconnections due to this is unavoidable despite intensive operational measures with regular load shedding and shifting of loads between feeders. To enable higher utilisation of existing feeder capacity, GEDCO has reinforced many limiting feeder sections but is also installing new interconnections between some feeder areas. A result of the loading limitations is extremely high load factors for the individual feeders, which now range from 60 to 85 % with an average for the total supply of about 65 % on a yearly basis compared to normal levels of below 50 % for unlimited supply. This is also clear evidence of a large portion of the surpressed load identified in the RK&D study. Further evidence is that GEDCO has accumulated applications for connection of new transformers and installations corresponding to at least 30 MW of load demand, which can not yet be met. Reference is made to Attachment 5, Present Supply Situation, summarising statistics of disconnections and load shedding. It shows that supply on the 9 feeders, as an average, is interrupted from more than once a week up till more than once every day of the year. Consequently load shedding is necessary in some areas almost every day and in all areas frequently during summer and winter peak periods. This means disconnection of about 15 to 20 distribution substations/feeder for a few hours in the worst case. Typical feeder voltage profiles show big and frequent variations every day. Recordings included in Attachment 5 represent the voltage profile at feeder entrance to Gaza area. For 1998 the total consumption was 599 GWh, the maximum peak demand 105 MW and the load factor 65 %. Corresponding peak demand at 50 % load factor is 137 MW, i.e. indicating a surpressed peak demand of 32 MW, which is 5 MW less than for the RK&D base figure for 1995. Now the 32 MW surpressed peak load alone corresponds to 140 GWh of surpressed energy at a load factor of 50 %. Hence, the actual total present energy demand may be about 740 GWh. It is logical to presume that the surpressed peak load and energy demand will become real already in the first three years after commissioning of the power plant and transmission system i.e. during the years 2000 to 2002. Further, as the actual load growth from 1995 to date, despite the limiting network capacity, rather well agree with the base forecast made by RK&D, it is presumed that most probable growth rate is in the same range. This means an energy demand of 1100 and 1560 GWh respectively for the years 2005 and 2010. Corresponding peak power demand will reach to about 220 and 310 MW respectively. Reference is made to Attachment 6, Load Forecast Summary, which show current forecast figures in comparison to RK&D Base, Low and High forecast levels. Copy of the RK&D report volume 5, "Transmission Master Plan", was concluded in May 1996 and is handed over to Sida. Please refer to sub-section (2.3) above. The target groups for this project is the entire Palestine society with all of it's inhabitants, public and private institutions, companies and entities living and acting in the Gaza Strip, who will all benefit from the commodity of sufficient and reliable electric power supply. - The public entities emerging from PEA to take charge of the electric power transmission, distribution and supply in Gaza. - Palestine Transmission Company Ltd (PETL, to be established) and Gaza Electricity Distribution Company (GEDCO). - The Palestine Electric Company (PEC, the IPP), Enron/ABB (the main power plant supplier) and their sub-suppliers, local and international consultants, contractors and suppliers to be engaged in the implementation of the power plant. - The PEA transmission project organisation and their suppliers, local and international consultants, contractors and suppliers to be engaged in the implementation of the transmission system. - Authorities and public institutions effected by or engaged in the implementation of the power plant and transmission system. Beside the parties directly engaged in project implementation, many suppliers of various services in the Gaza Strip will be indirectly engaged and benefit from the project in providing transport, accommodation, material, consumables etc. Please refer to sub-section (2.2) above Country and Sector Policies. For the quality and reliability of the system and equipment the policy of PEA is to use international recognised principles and standards as a guideline, e.g. IEC standards should be applied for the power system, auxiliary system and components. For the environmental impact the World Bank guidelines and international practice should be recognised beside domestic regulations. - Tender documents (provisional) for 220 kV Transmission lines by Norconsult of July 1996 (revision in progress). - Assessment study by RK&D of Jan 1998. - Environmental Impact Analysis by SwedPower of April 1999. - IVO Sector Study . - ENEL Study for a Regional Interconnection Transmission System . - PA Sector Policy (enclosed). - To build an independent, sustainable and reliable electric power supply system for the Gaza Strip with provision for possible future extension and integration with a regional HV power grid. - To assure an electric power supply service to the consumers within pre-defined international quality levels at affordable prices. - To reduce and minimise the electric power losses. - To help developing the Palestinian economy by facilitating a reliable electric service to the industrial and agricultural zones as well as to any other business and service activities in the Gaza Strip. - To build an optimal, technically compliant and reliable Transmission System to transmit the power generated from Gaza Power Plant to bulk supply points in the North and South districts. - The Transmission System should be capable of handling all reasonable Generation/Transmission plant disturbances. Besides this, the system should be capable of transmitting the power within a defined quality criteria framework. - The Transmission System should cater for future power transfer to the West Bank by 220kv O.H.L. - The Transmission System should facilitate regional interconnection with neighbouring countries (a key link of the Egypt, Jordan, and Palestine interconnection prospect, studied by EU). - A sustainable, reliable and stable and less dependant electric power system. - Improved quality of electric power supply to the consumers. - Reduced electric power losses. - Extended and sufficient system capacities to meet suppressed loads and forecasted future load demand at reasonable costs. - Building a HV substation attached to the Power Plant to feed the surrounding area and to connect the Power Plant step-up transformers the HV transmission lines for transmission of power to the other, below mentioned, bulk supply points. - Building HV transmission lines to connect the above mentioned new power generating plant with bulk supply points. - Building HV substations in each of the North and South Districts to become bulk supply points from where the power will be distributed to the consumers. - In the first limited implementation stage it will not be possible to build the South S/S with connecting line. We hope that this can be realised in a second stage possibly as soon as during the year 2000 to 2001. - Simultaneous secondary activities to be carried out by GEDCO, i.e. to build connection lines to the distribution networks are summarised in sub-section (5.3). The main factor that may affect the implementation of the project is the possibility of closing the borders by Israel, which will delay the shipments and supporting services. However, the planning of a power supply system is communicated with the Israeli Government and evidence of the Israeli government acceptance of the power system development is given in a letter to the PEC. There are certain political risks related to the ongoing peace process, which may have some influence on the realisation of the project. There is, however, presently no indication of such influence on this project. With the acceptance from Israeli Authorities referred to in sub-section (4.1) the risk is deemed small and should be further secured through current power exchange communication between PEA and the IEC . The inclusion of 161 kV windings in the North S/S transformers has meant a substantial positive injection to the PEA-IEC contacts. Crucial for the success of the project is that the Power Plant will be ready for operation at about the same time as the Transmission System. Since an IPP is already established to build and operate the Power Plant and since moreover the first down payment for the plant is made, this risk now seems negligible. Instead this risk is rather reversely directed in that the implementation of the system will have to be rather compressed to enable transmission/distribution of power from the plant upon commissioning of the first gas turbine units. With the proposed intended basic system configuration indicated in enclosed Budget Cost Estimate, PEA will have access to a well furnished and flexible system with a capacity and reliability that could reasonably be expected and corresponding to international standards. There will be sufficient reserve load capacity in transformers as well as lines and switching facilities for different operational situations during the planning period including the power plant phase 2 expansion to 280 MW . Hence, there are no obvious technical risks of the project, but one condition to be met by PEA/GEDCO is, that the successive addition of connections to the distribution networks will correspond to the increased load demand. The risk of insufficient capability of PEA to manage the operation of the system, will be met by capacity building efforts during project implementation and support during the first years of operation. - The necessary alternative financing of postponed investments may be difficult and time consuming to find for PEA and consequently cause further supply problems until the delayed implementation can be made. In any case alternative funding is likely to be less favourable than the lost option. PEA is however optimistic about the possibility to raise required funs in due time. - Postponing the South S/S will in the meantime cause reduced supply capacity and quality to the area and impose some temporary reinforcement actions to limit the consequences. Previously rejected local solutions with alternative medium voltage transmission have been considered also in the studies performed by RK&D and SwedPower. In the present situation with confirmed surpressed load demand and the power plant implementation is contracted, which justifies the conclusions made in these studies, it is deemed logical to confirm acceptance of these recommendations. - The HV Substations and the HV Transmission Lines will be tendered as one common package and turn-key type of contract according to FEDERATION INTERNATIONALE DES INGENIEURS-CONSEILS (FIDIC) conditions should be applied. - The supervision and management organisation, directed by PEA for the project implementation, will be as shown in the Project Organisation Chart, Attachment 7. PEA has made a separate request to Sida for support to establish and facilitate this organisation. - A consulting firm should be engaged by PEA/ Financier to act as Engineer for the project, which services should be covered by the project budget. Please refer to the Project Organisation Chart , Attachment 7 , with enclosed Teams Task Document, and to the separate request by PEA for reinforcement of it’s capacity during implementation as mentioned in sub-section (5.1). PEA has until today very limited experience of planning, implementation, operation and maintenance of transmission systems. Related competence is with a few specialists of the PEA staff only. Hence, it is necessary during the implementation stage to provide appropriate and extensive training in particular in system operation and maintenance. Basic experience in project preparation and implementation can possibly be gained in on-job-training through participation in all related activities. Provision should be given to PEA to allocate required staff to participate in project implementation and to be directly engaged and participate in the project work. Operation and maintenance skills will require special training included as part of both construction/supplier contracts and consultant/engineering contracts. The latter training should have special focus on appropriate and best utilisation of the system in a system owner perspective. A tentative required organisation to take charge of the Transmission System upon commissioning is outlined in the Operation/Management Organisation Chart , enclosed as Attachment 8. Only few of present PEA staff has suitable competence and experience for the various duties of this organisation, which has to be established during implementation of the project. Tentatively it should be developed based on the Project Implementation Team. Recruitment of new personnel and purchase of facilities for the organisation will be necessary. It is particularly important to engage specialists for the top management functions at an early stage. Provision for this will be included in the special request mentioned above (in the 1st section of this sub-section). The implementation of the Transmission System should run in parallel with the implementation schedule of the Power Plant as will the extension and rehabilitation of the Distribution System. The generating plant is scheduled to be completed in three steps, where the first step includes two GT units of 23 MW capacity each, the second step includes an equal package and the third step comprises the addition of two 47 MW steam turbine units in combined cycle with the GT's. The 1st step is planned for commissioning in second half of year 2000, the 2nd step six months later, Oct/Nov 2000, and the 3rd step in June year 2001. A rehabilitation program for the existing 22 kV system as recommended by RK&D has been performed. The works were carried out by PEA financed and supervised by NORAD/Norconsult. This program was scheduled for March 1997, and is presently now continued by Gaza Electric Distribution Company (GEDCO), established by PEA to take over and be in charge of the 22 kV and LV distribution systems in Gaza. PEA/GEDCO is presently planning and preparing the final design of the 22 kV connections to the new HV substations to be implemented by themselves. As for the main distribution system expansion and reinforcement to suit the requirements of the Transmission System, it is estimated to be completed by PEA/GEDCO to harmonise with the commissioning of the new bulk supply substations. A summary of the major activities established in a Master Plan for the reinforcement and extensions of the distribution system is given in Attachment 9. - Connection feeders from the new bulk supply points, the transmission S/S, to the existing networks. The plan includes 10 feeders from the West S/S, 10 feeders from the North S/S and 10 feeders from the South S/S. The maximum total load capacity of these feeder lines will exceed 100 MW for each S/S feeders. - Reinforcement of existing networks for adaptation to the new power sources will mainly be made through exchange of conductors for the line sections next to connection points of the new feeders. - The work includes a total line lengths of about 22.15 km of UG cables and 54.5 km of OH lines. - The total cost for the connection lines and reinforcement is estimated to about 9 MUSD for which a financing solution is being discussed with other donors. - The implementation will be executed to harmonise with the commissioning of the respective S/S, i.e. with first priority to the West S/S connections in second half of year 2000, secondly to the North S/S in January of 2000 and last to the South S/S. - The final preparations for the Transmission System is in progress including, as above mentioned, revision of tender documents, study of the environmental impact, acquisition of land, power purchase agreements etc. - Tendering and contract procedures have been handled during Oct/Nov and the contract signing for the first stage implementation is to be in 16.Dec.1999. - The completion time for the West 220/22 kV S/S at the power plant (to be given first priority) may possibly be less than 10 months from a letter of intent. Also this may not be short enough to meet the time schedule of the Power Plant, which should require extraordinary efforts by the Contractor. - The North S/S may correspondingly be completed within 12 months upon letter of intent and consequently require special efforts, which all has to be stressed in the tender documents. The late decision by the Swedish Government to reduce project budget for the first implementation stage means that the South S/S has to be postponed to a second stage. 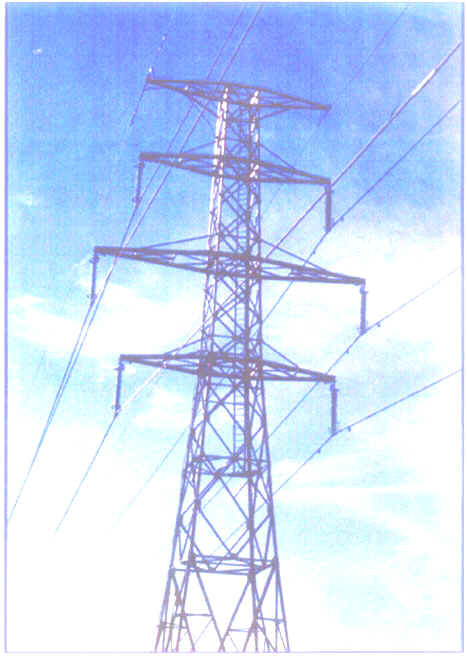 ­ The completion time for transmission lines is max. 12 months upon contract signing. ­ First priority has to be given to the connection of the North S/S to the West S/S, which should be commissioned within 12 months from contract signing. ­ The connection line from the North S/S to the South S/S has to be postponed to the second stage. - The budget for the basic system concept is given in sub-section (1.2) with Break Down figures in the Budget Cost Estimate (Attachment 3). The budget estimates include both the calculated costs for the originally planned first implementation phase, for the reduced scope (first stage), resulting from the budget cut imposed by above mentioned Swedish Government decision and for the postponed second stage for which PEA is trying to find suitable financing. - Financing of the project first stage is to be structured and agreed between PA, PEA and Sida. This is planed to be achieved and the loan agreement is to be signed at 16.Dec.1999 of the second stage of the transmission system. - It is pesumed that PEA will fined other sources to finance the remaining second stage. Please refer to sub-sections (2.1) and (2.2) above regarding country and sector policy. The Legal system of the Palestine Autonomy is under development and for areas not yet concluded, international practice should be applied. The basic choice of technology for the plant equipment to be included in this project is in conformance with international standards specified by IEC. Though the transmission system is a must for Gaza Strip, the OH Transmission Line route was selected to pass mostly in non populated and non or partly utilised areas, that is the security zone near Israeli borders. As for the Substations, the out-door type was selected due to economical reasons. The substations are located on public-use lands. For more details on the selection of technical issues, please refer to RK&D reports and tender documents. The realisation of this large project offers unique opportunities for on-job- training to serve as management and institutional capacity building. Please refer to sub-section (5.2) above. The project execution management team, indicated on the attached organisation chart, will be appointed with the aim that they will carry key positions for future management of the transmission system operation and maintenance. Strengthening this team for adaptation to these future needs will be done as early as possible during implementation to utilise the on-job-training potential of the project. To secure that lack of management experience will not cause serious operational and maintenance problems during the learning process of the local organisation, two resident experienced system operation and maintenance specialists should be allocated to support the project under a separate consultancy contract for the first year of operation. - Occupation of space, i.e. for S/S sites and right-of-way for transmission lines. - Impact of requirements for land. - Impact on vegetation, forests and important resources. - Impact on cultural, archaeological and grave sites. - Electric and magnetic field effects. - Analysis of influence on population behaviour, human settlement, migration, etc. - Establishment of possible mitigation measures that has to be taken due to impact of the project and estimation of the cost of such measures. In the Gaza Strip, effect on above points are deemed minor since most of the transmission line is passing non populated areas, that is the security zone along the Israeli border. Besides, the site for the substations are selected to be on public use land. With reference to the previous acceptance by Sida to finance the EIA, they have assigned SwedPower consultants to perform the study according to terms of reference are prepared by PEA. Approval of the EIA is conditional for project execution. It is expected that the rate of increase of population will drop with the development of the economy as mentioned in sub-section (3.1) above. Such a drop will help to improve the standard of living of the people in general and so will expected increased business and employment opportunities. Experience show that society development generated by this kind of project will generally promote positive changes including also gender equality. PEA, or rather the business entities to be in charge of the power supply and systems operation (PETL and GEDCO), is going to buy energy primarily from the PEC, owner of the power plant, and sell the same to the consumers with marginal profit to cover its expenditure for such as operation, maintenance costs .....etc. of the transmission and distribution systems. The power demand not covered by the IPP production will initially have to be imported from IEC on the existing 22 kV connections. For the following stages it is planned to extend the 220 kV system in the south into Sinai enable import from EEA and to the IEC 161 kV system to enable further transfer of power to the West Bank and/or increased power exchange with IEC. This will all serve as much improved opportunities for financial and economic sustainability with alternative negotiable sources and more independent supply. The key conclusions made are that a tariff margin of less than 0.01 USD is needed to cover the financial and running costs of the transmission system. Development of industrial & agricultural zones and growth of small businesses. Records of Ministries of Industry, Agriculture. Available, reliable and secured electric services with improved quality. -Availability of service to all sectors. Logged data and measurements of dispatch centre or substation control units. -All suppressed demand will be fed. -Reliability, security and quality of supply will be verified. -Building 32.4 Km of Transmission lines.